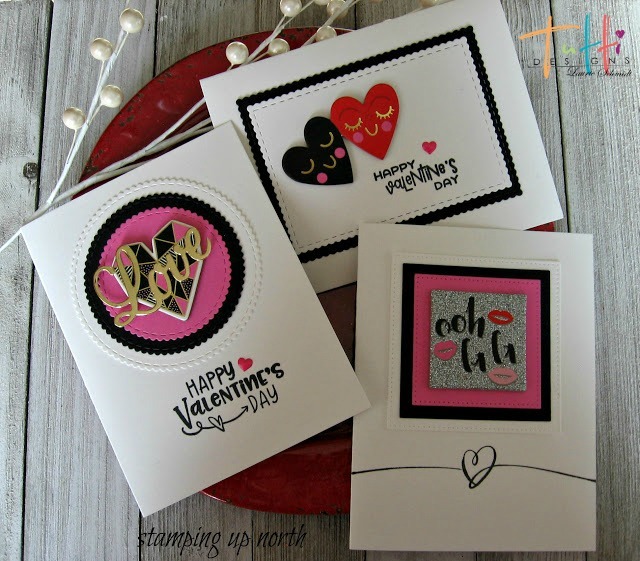 Laurie here from Stamping Up North sharing a Valentine card set today. 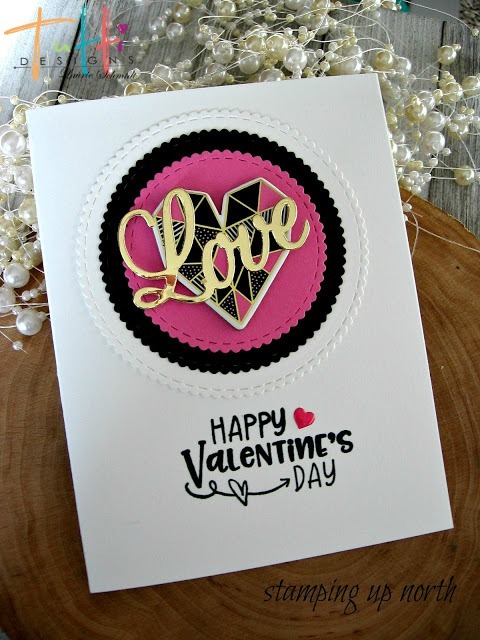 I used some of Tutti Designs basic shapes for this set....along with some cute Valentine chipboard cut outs I found at Target. I cut one out in black and one in red, then adhered on the cute chip board hearts, stamped the sentiment and added an enamel heart. I cut out 3 circles....one in black,white and pink, then adhered the chipboard heart in the center. I cut out the word love from the snow globe expression set, and adhered that on the top. I cut out 3 of these, in the same colors as the other two cards. 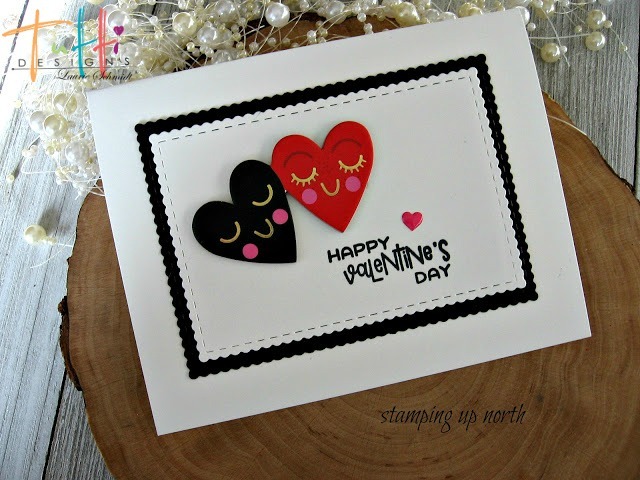 Then I picked out a square Valentine chipboard piece to adhere on top, and stamped the heart along the bottom. These are AMAZING!! Love them all Laurie!! 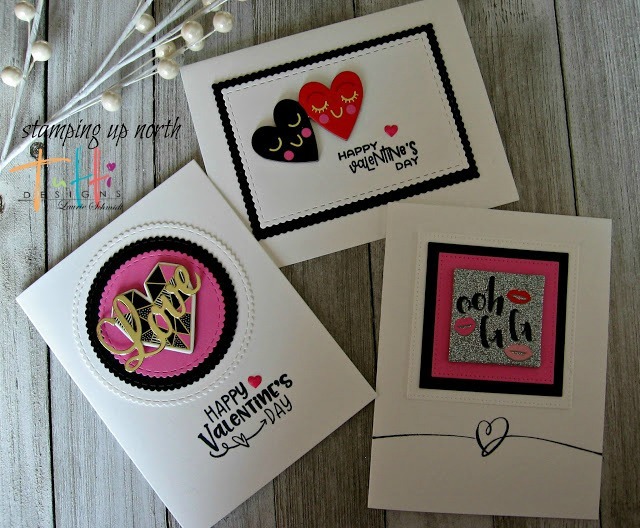 Laurie, this is such a fabulous collection of Valentines! So cute and CAS. I love all of them! These are all just FABULOUS Laurie! Going to bring smiles for sure! Thanks for beautiful inspiration! 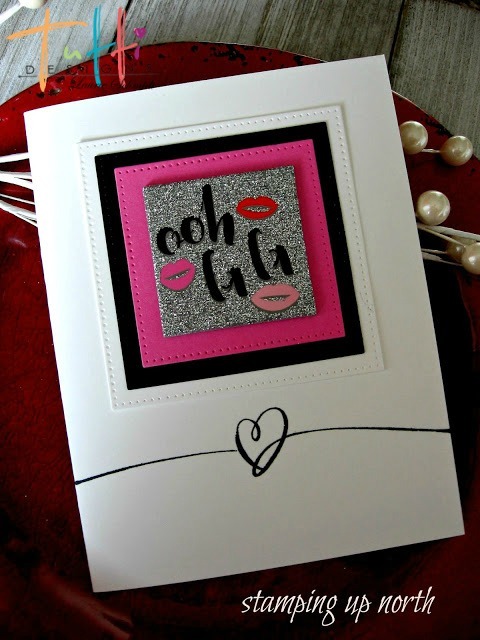 А fabulous collection of Valentines! Sure are pretty, great job, love the glitter paper, very nice!